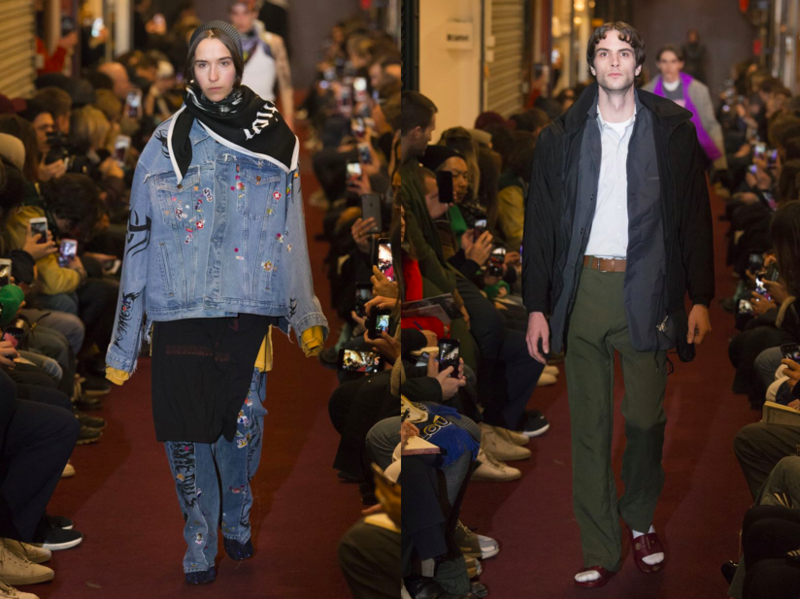 Shown in the corridors of the Paul Bert Serpette market, north of Paris, Vetements autumn-winter 2018 collection left us all with very mixed feelings. 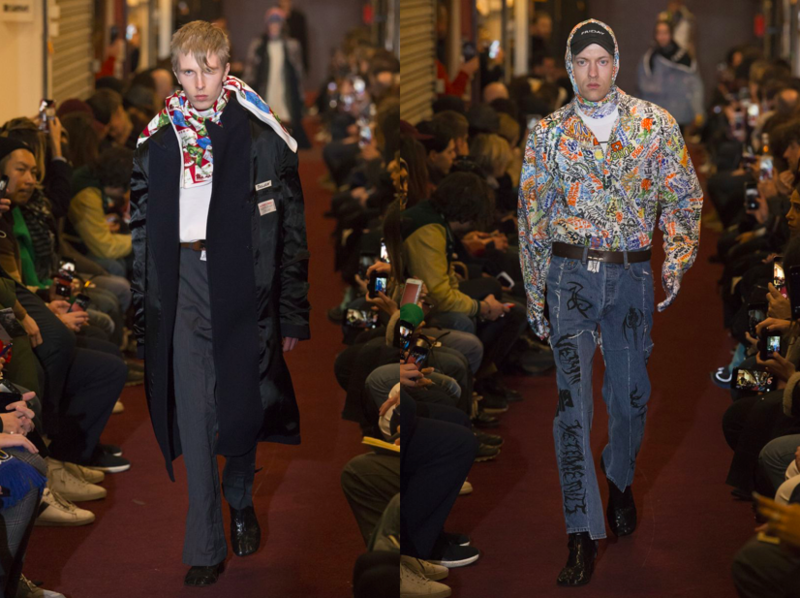 As the fashion collective’s main representative, Demna Gvasalia, summed it up, “we took it to the flea market because that’s where it always begins.” But the clothes, and the styling, didn’t only resemble a trashy thrift shop aesthetic. The designer, who has worked for years at Maison Margiela, decided to openly refer the brand and its legendarily anonymous designer as the main source of inspiration. Diet Prada, the passive aggressive Instagram fashion critic, has already criticized Demna’s choice to do the Margiela tabi boots in the show – like, what’s the sense, if we’ve got the original? But as for me, it’s not only about the Margiela factor that makes this collection so problematic. 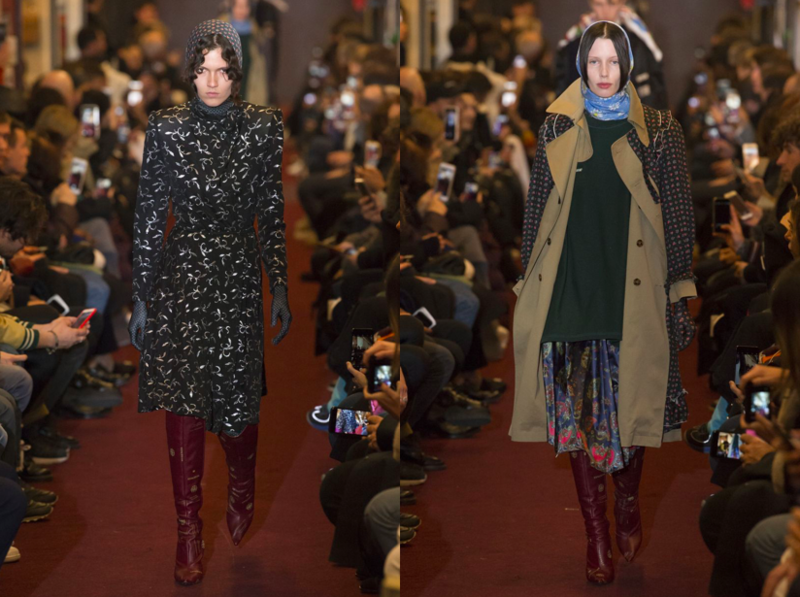 Vetements wants to convey the feeling of realauthenticity in their clothes. For instance, Demna went to the kindergarten next door to the Vetements studio in Zurich and set the children the project of making illustrations for the T-shirts. The models, who walked the show, are said to be ‘really’ dressing like this on the daily. The clothes do look like old and tattered, and that’s the entire sense behind them. But aren’t they being manufactured from new materials before they hit the stores? If not, then the 1000 pound price tags are a complete absurd. If yes, well… I think you get this kind of hipocrysy. I really do love people who consciously dress in a ‘cheesy’ and ‘trashy’ way, go to flea markets. But dressing up in Vetements to look ‘disruptive’ is somewhat a non-sense. It’s like wearing a t-shirt of a band you’ve never listened to. This entry was posted in Latest News and tagged menswear, paris fashion week, pfw, Vetements. Bookmark the permalink.